It was o'dark thirty when I made pasta salad. 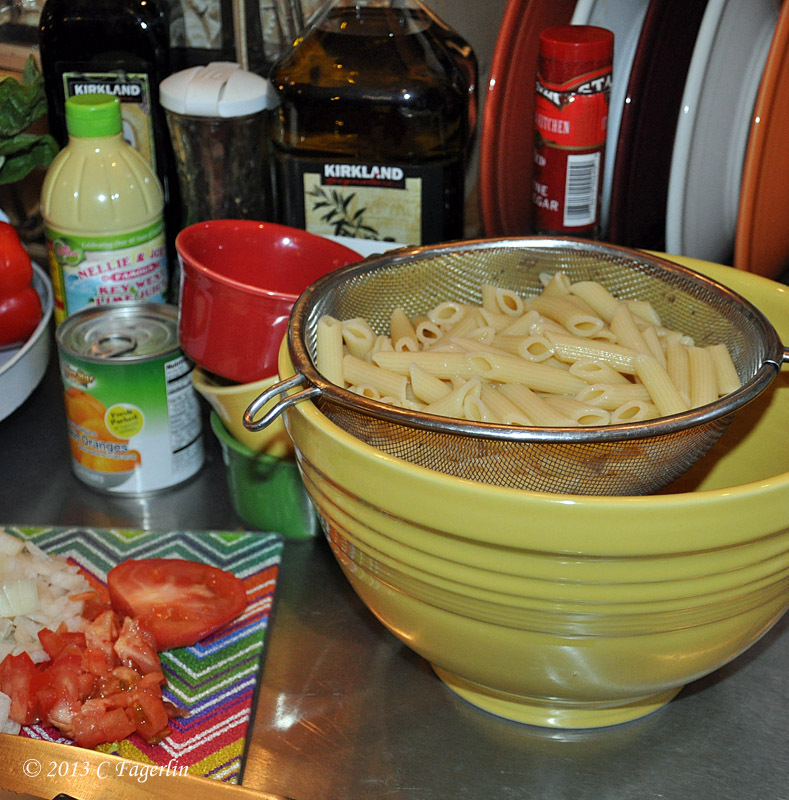 Penne Rigate by Golden Grain, a couple tablespoons each diced onion, diced Jicama, diced celery, diced tomato. 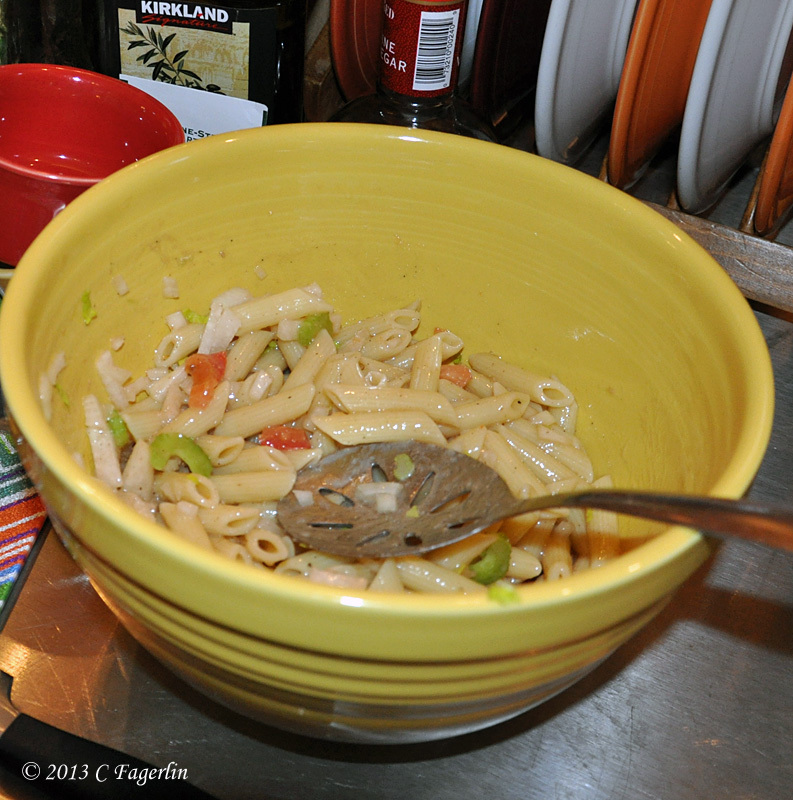 (This was just a couple cups of pasta, more veggies required for more pasta.) 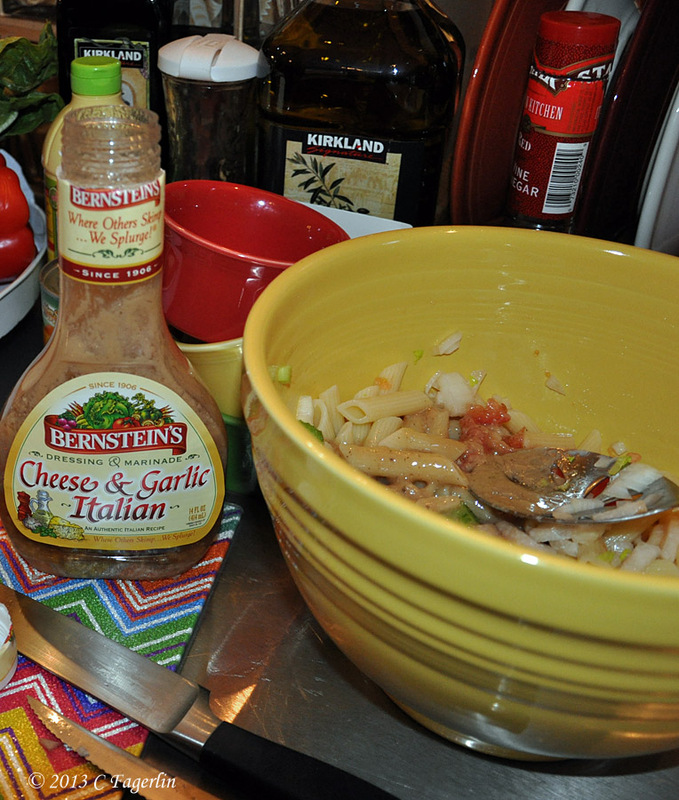 And the essential ingredient is the Berenstein's Cheese & Garlic Italian dressing. 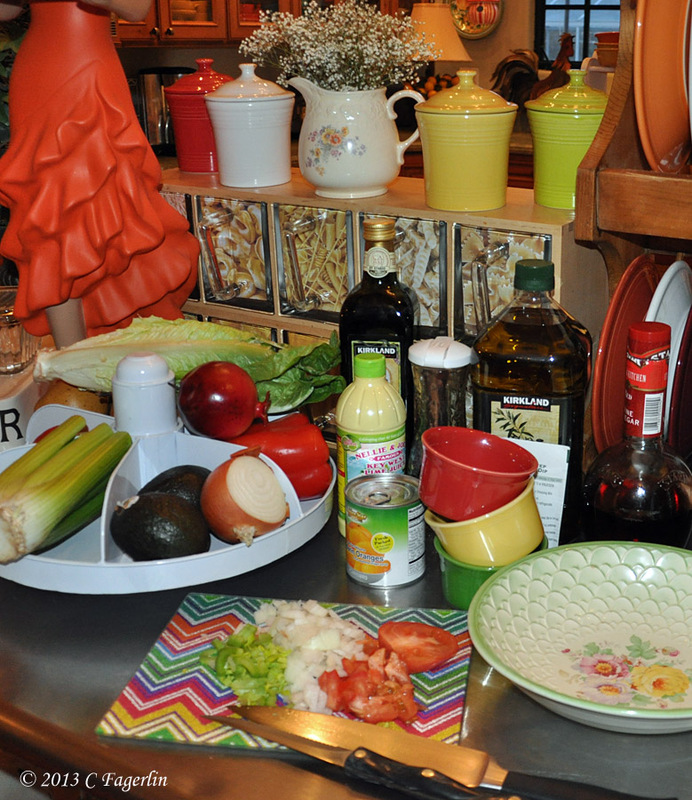 Just pasta of any sort and that dressing ...... pure success each time. Yum! 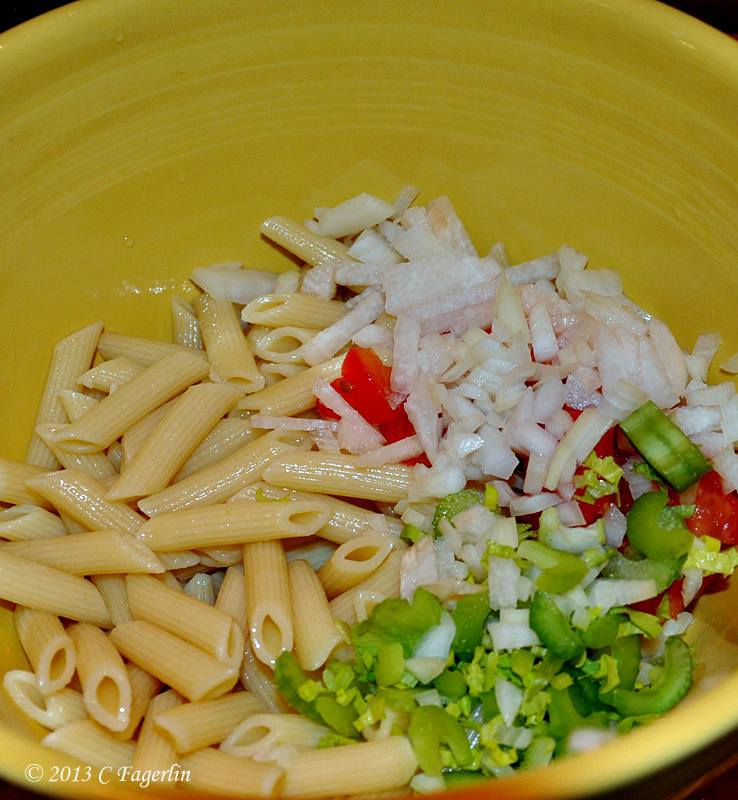 Is it bad to have pasta salad for breakfast? I think I will try your pasta salad recipe. I have never tried that salad dressing. But I am going to try it the next time I make pasta salad. Candy, your roses in your header are fabulous. Such a pretty photo. 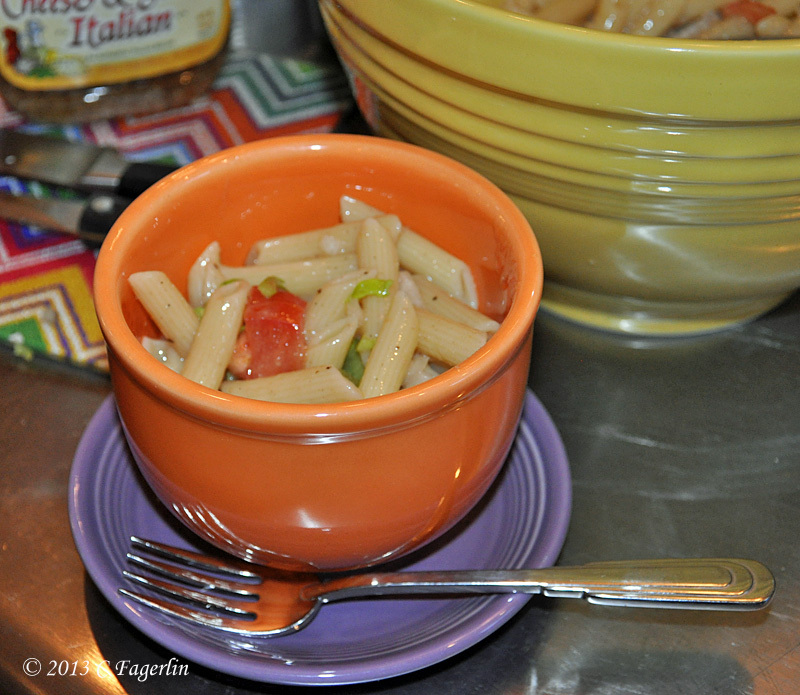 I haven't made pasta salad in a long time, but your post brings back fond memories. 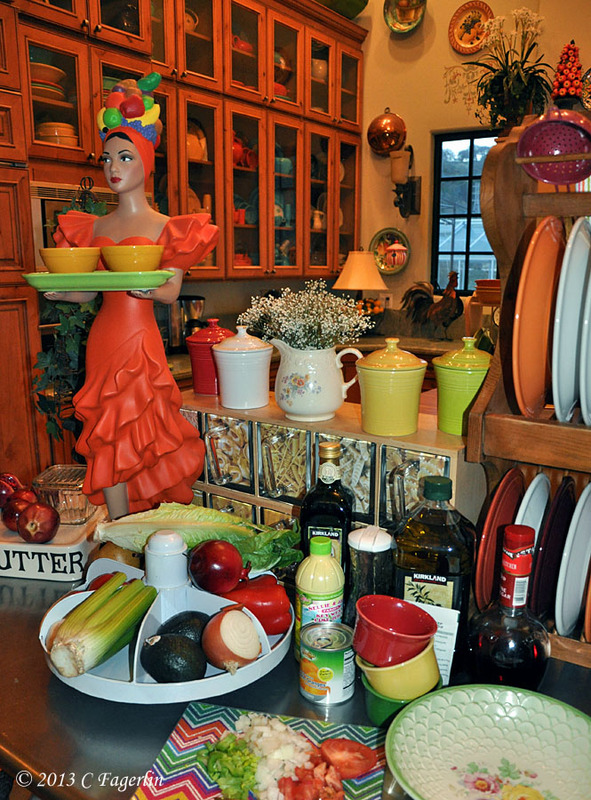 I often made pasta salads for picnics on our boat.